Each week I'll be discussing a different medical specialty for anybody who is interested in going to medical school or is already there and is still not sure what it is that they want to do. This week I'll be discussing my dream specialty - Accident and Emergency medicine. 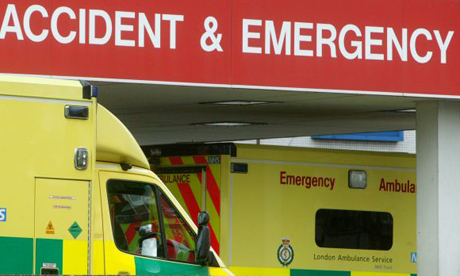 Accident and Emergency (A&E) is the specialty that deals with serious injuries and life threatening illnesses. In the UK alone 21 million people a year visit A&E departments and it is increasingly becoming the first point of call for the majority of the population and their medical issues. Working in this specialty means that you are exposed to a wide spectrum of medical conditions including: Resuscitation, Head Injury, Musculoskeletal injury, Cardiology, Respiratory Medicine, Neurological Emergencies, Renal Disease, Rheumatology etc. This also means that it is a very unpredictable specialty as one minute you could be dealing with a minor injury to a life threatening one. As a doctor in this specialty you have to be able to make as rapid a diagnosis as possible so as to distinguish between the magnitude of potential conditions. This will the allow you to create a treatment plan that will stabilise a patient and allow them to move to a ward more specific to their needs. Other characteristics that are necessary to be an A&E doctor are compassion, organisational skills, good team management, be able to determine which cases are more serious than others and to enjoy working in a team. Emergency medicine is a 24/7, 365 days a year speciality meaning that doctors will work a range of night shifts, weekend shifts as well as having to be on call. As a consultant there is the opportunity to specialise in one of the previously mentioned medical areas resulting in you having to spend some of your shifts in associated departments. Overall I can't wait to be a an A&E doctor, I've still got 5 years of medical school left and two years of training after that before it happens but hopefully it will live up to my expectations.